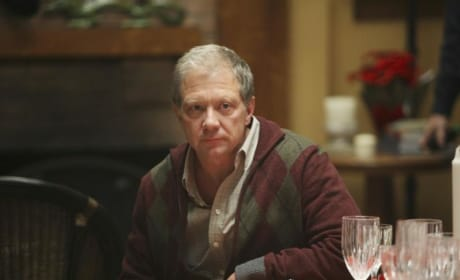 Jeff Perry as Thatcher Grey in "Holidaze." Whenever he's around, tension follows. Richard and Meredith operate in "Holidaze." What do you suppose they are talking about? 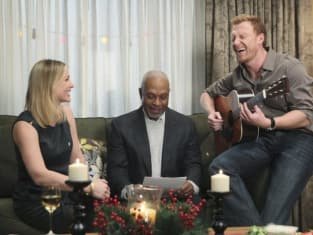 Derek shows off his guitar skills in this Grey's Anatomy holiday episode. We can't wait to see that. 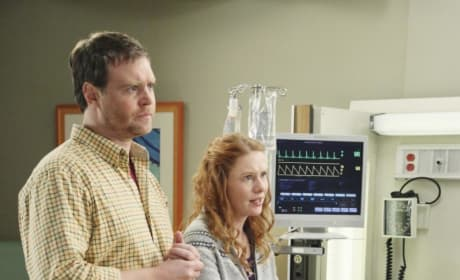 This concerned family is looking to the doctors of Seattle Grace for help. Hopefully they get what they are after. Lexie does her thing. 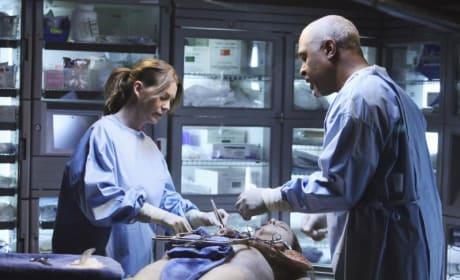 Will she be able to save this cute patient? 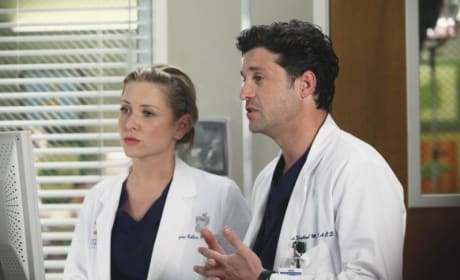 Derek and Arizona in "Holidaze." What do you think they're talking about? Lexie Grey in action. Hopefully she keeps this little guy safe! 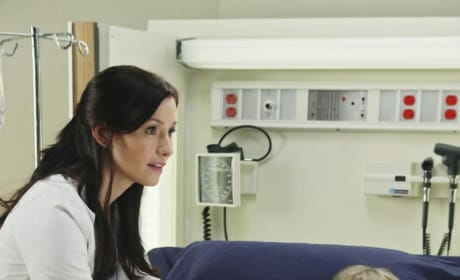 Chyler Leigh (Lexie Grey) and guest star Leven Rambin in Grey's Anatomy's Season Six holiday episode. We'll be interested to see what happens with her. 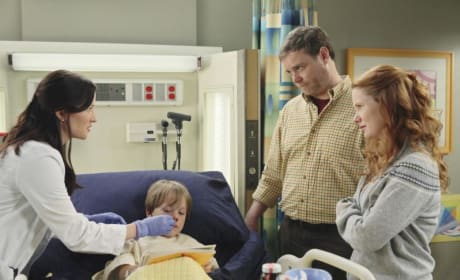 Is that Mark's child with Lexie? We've been led to believe that by the promos, although you know how promos can go. Kim Raver's Dr. Teddy Altman was recently introduced into the Grey's Anatomy fold. Are you a fan of this cast addition? Eh, maybe that doesn't work as a nickname. But we're intrigued by this Teddy character. We love Meredith Grey. Particularly for pictures like this one.